Love is a road trip with no destination. Everything is on the way to somewhere else. Grow Your Soul. Don’t Know Yet is now available across American Cable in Movies on Demand! 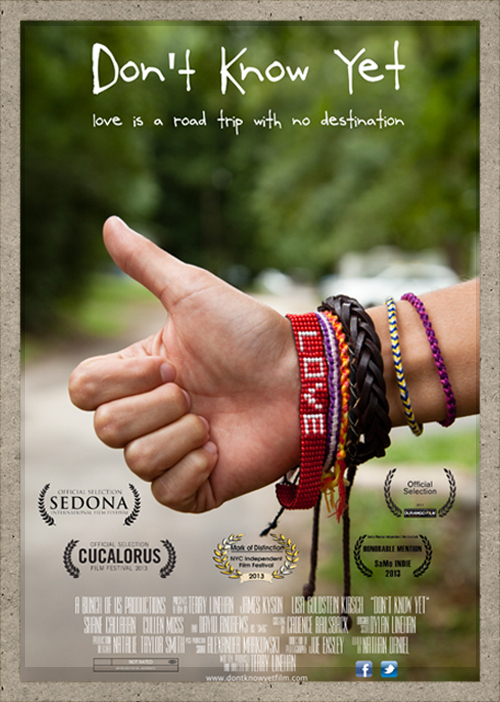 A feel-good road movie about a broken man who lets the hitchhikers he picks up determine his direction and destiny. Everything changes when he meets a free-spirited woman who guides him on a journey of self-discovery while hiding a secret of her own.